A potluck is an event in which each guests brings with them food to contribute to the party table. The food that guests share with everybody is most often homemade. 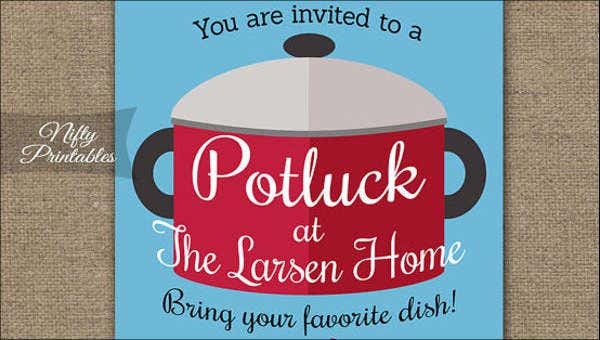 The term potluck means “food provided for an unexpected or uninvited guest, the luck of the pot”. You may also see invitation designs. 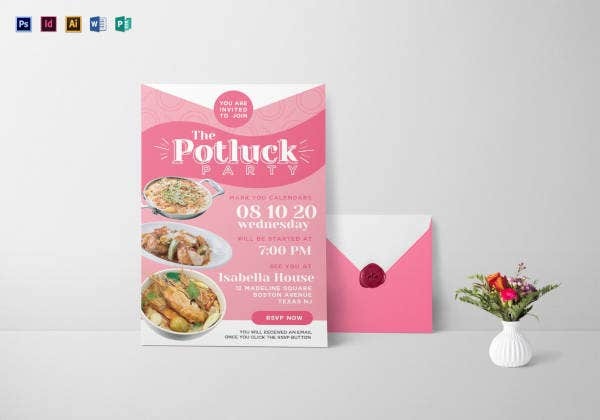 If you are hosting a potluck party and are looking for invitation templates to get guests to come over, then this article is for you. All the templates we share with you here are easy to customize and sent through e-mail. 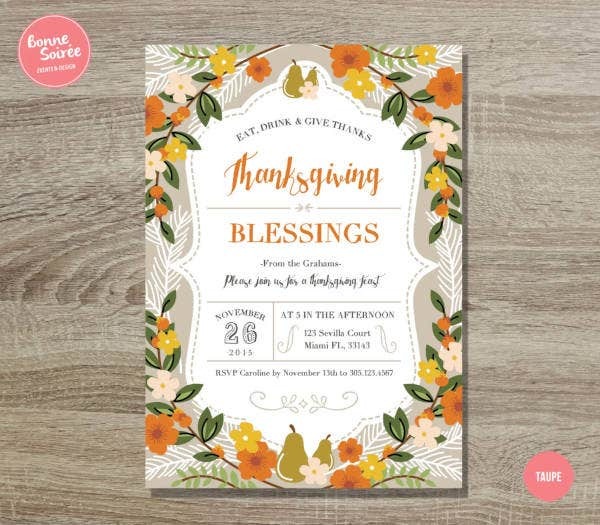 As a bonus, we have added a invitation template that is also printable and all of this is for free. Potluck parties are often organized by community groups and are planned ahead of the occasion. Most times, community members’ birthdays, special meetings, or group anniversaries are celebrate with potlucks. 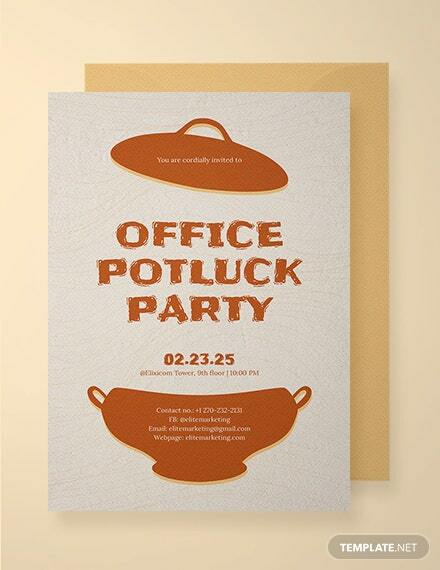 Office Potluck E-mail Invitation Template. The office is a good place to organize a potluck as the usual lunch fare can get quite boring and people are continuously looking for alternative places to eat. 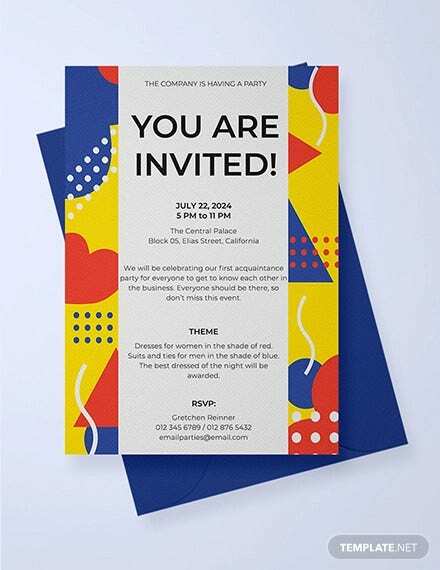 This e-mail invitation is perfect to send out to all your office colleagues. 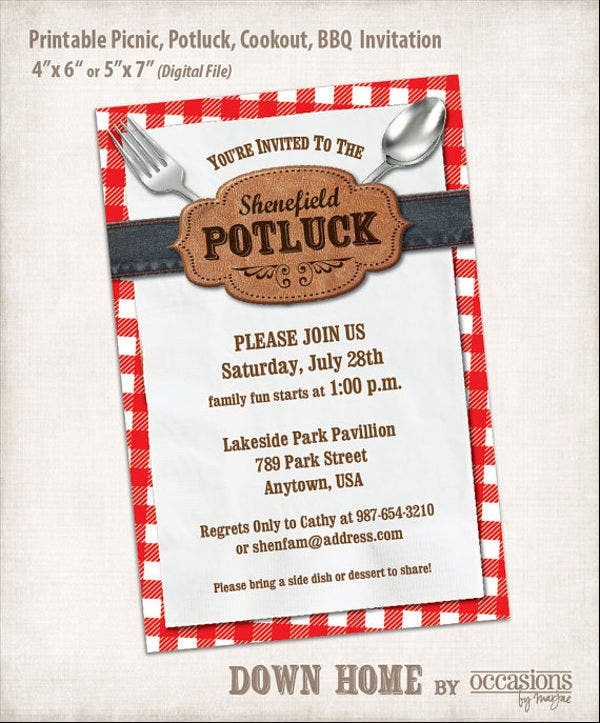 Potluck Lunch E-mail Invitation Template. A lunch potluck is a great time to hold the party as guests can prepare their dishes the day before and do not have to drive back home late into that night as the would for a potluck dinner. 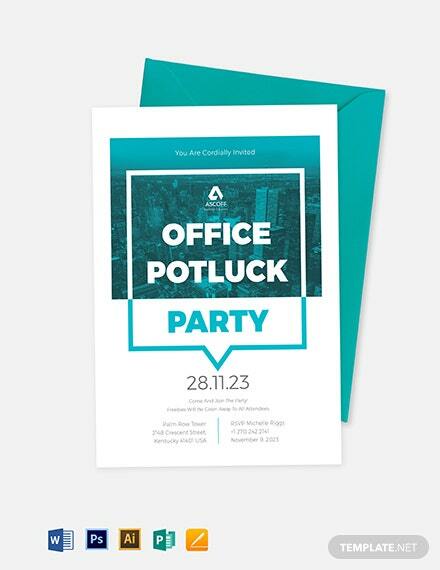 This template specifies that about your potluck and also comes in a PDF format for easier sharing with attendees. 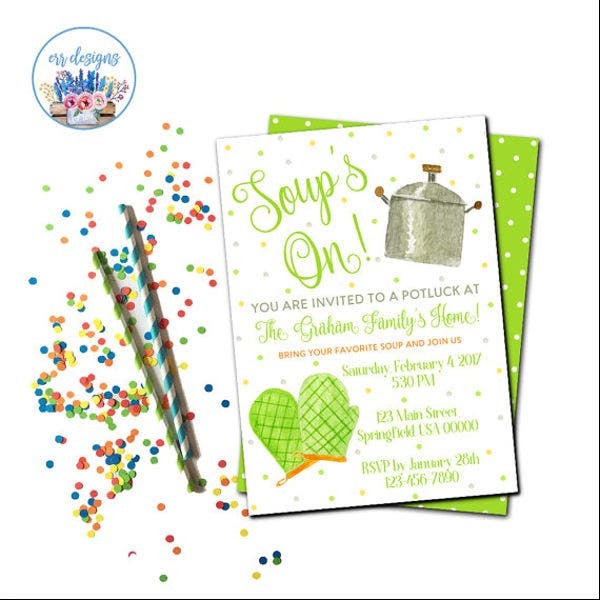 Choose from any of our potluck party invitation templates to make sure your guests are informed and prepared for the occasion. 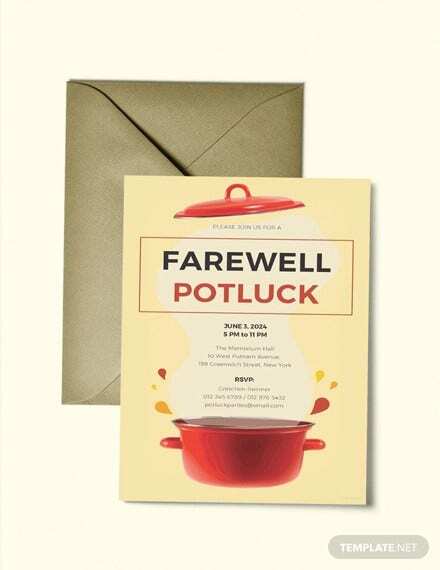 A rule of thumb is to e-mail guests with a sheet included to specify the dish they are bringing to the party so everyone is informed with what the others are bringing. Without the sheet, everyone could end up bringing the same dish. Potlucks often give the guests a free hand on the type of dish that they are bringing to the party. Sometimes, potlucks employ themes too, to switch up the atmosphere. 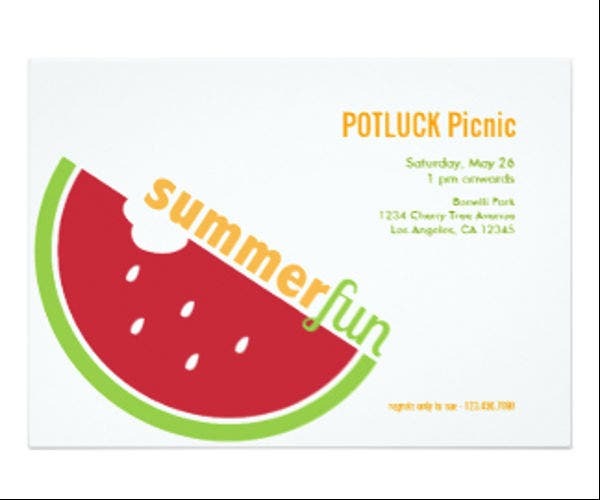 Whether you are going for the themed or the traditional potluck, our e-mail invitation templates are sure to get your guests informed and excited for the party. 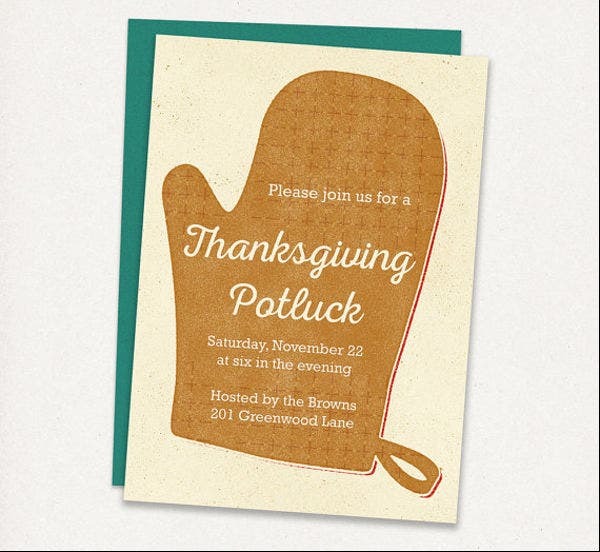 Thanksgiving Potluck E-mail Invitation Template. Holidays are perfect ways to throw a potluck, especially on Thanksgiving, as everyone is expected to be cooking family meals on that day anyway. A Thanksgiving potluck is a good way to show that communal spirit and to share special family dishes with everyone. 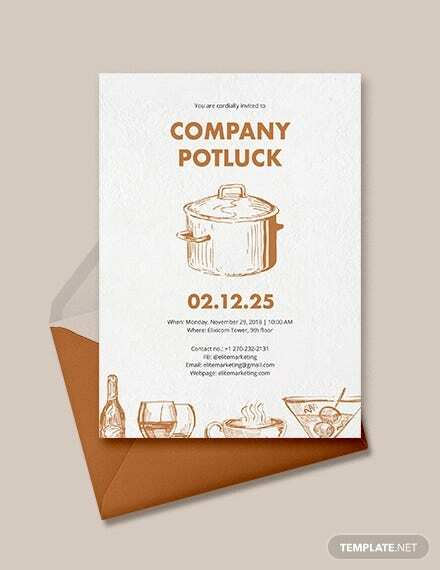 Potluck Party E-mail Invitation Template. This is the most versatile template in the bunch as it can fit birthday party potlucks to other events that your community would like to celebrate. All our templates are very easy to customize so you can make each template truly your own. 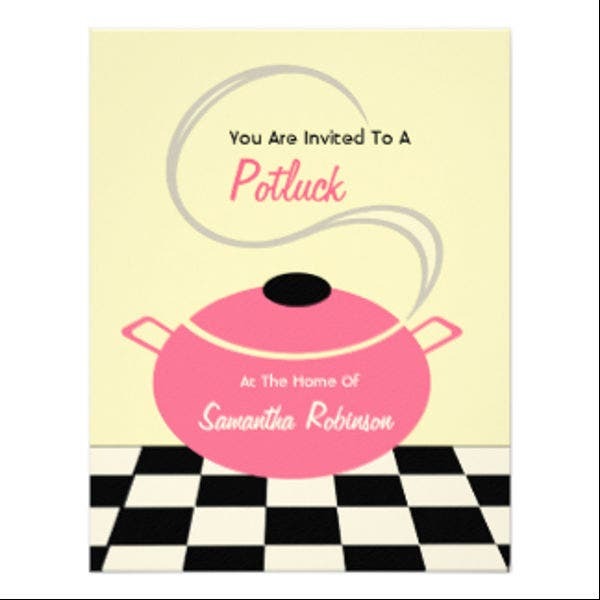 Printable Potluck E-mail Invitation Template. 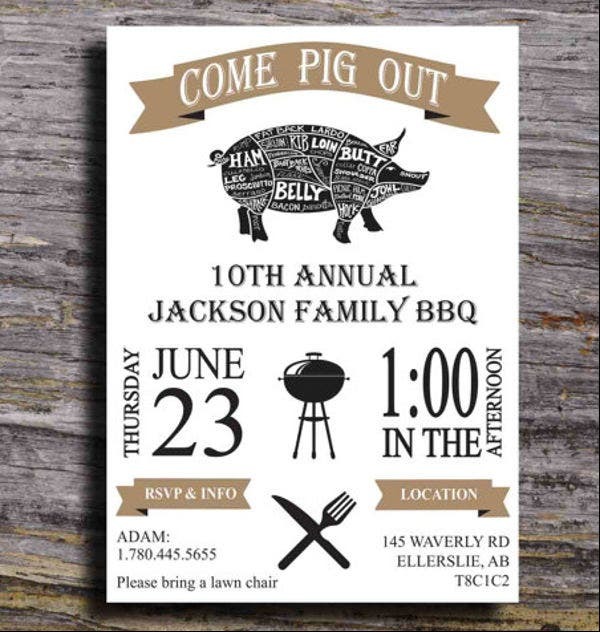 As a bonus template, we have added in for good measure a printable invitation template should you wish to print them out and distribute to the group. 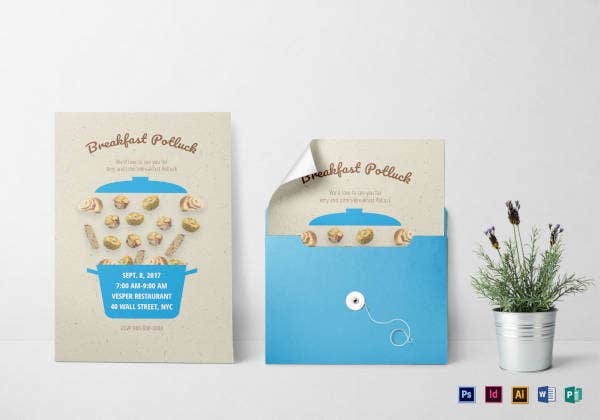 The design on this template is just as good as the e-mail template and can be shared through e-mail as well.